Sicily is a wonderful place. The people, the food, the wine – sound familiar? I have always said that something magical happens when you bring food, wine, and friends together. Well it was even more magical in Italy (for me anyway…) Wines of Italy are made to drink with the local food! The culture lends to it. It’s a way of life there and I absolutely loved every moment!! We had the opportunity to sit down and enjoy a local food and wine pairing lunch. It was fabulous. This wine is made in western Sicily with two grapes. 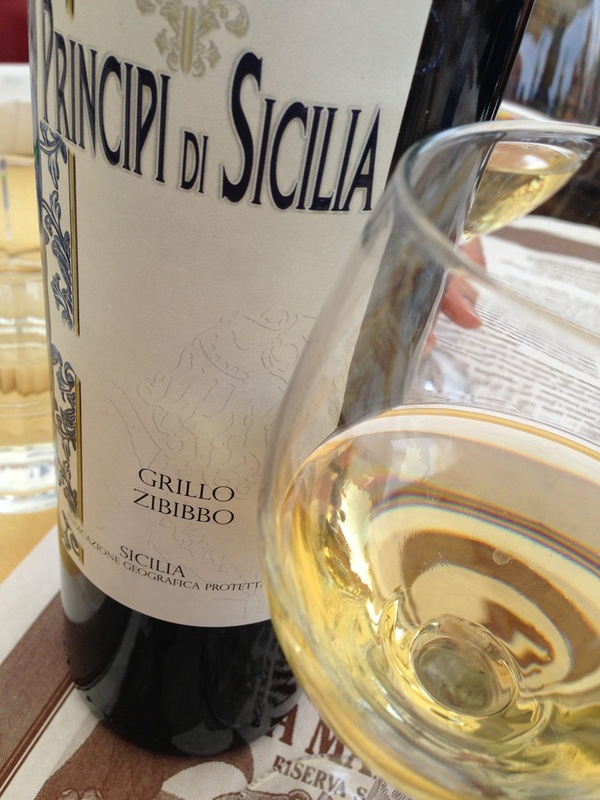 Grillo, also known as Riddu can withstand high temperatures and widely known for its use for Marsala. Zibibbo is also known as the White Moscato. It simply means “dried grape.” This wine was a simple white wine. The aroma lent to a citrus, tropical fruit and slight minerality. It also had light tropical fruit and citrus on the palate as well. This wine was great with the seafood that day… 12.5% alc by volume.